There were 12 posts published in June 2011 (this is page 2 of 3). Scientific Advertising was written some years before My Life in Advertising and is a bit like a shorter and concise version of it. Claude Hopkins writes about writing ad copy and using statistics to eliminate guess work. Salesmanship-in-Print: A simple rule for writing ad copy is asking yourself: Does this help your salesman in person? You can derive lots of suggestions from this question. Does being loud and annoying help your salesman in person? Probably not. Does being boring help your salesman in person? Nope. Does offering detailed specifications help your salesman in person? Yes! Use a personality: Most people see cooperations as soulless therefore you can use personalities. This could be an unreal or real person, like the head of engineering or the CEO. People feel more connected if they can feel that a person is speaking to them. Free samples to interested: Free samples work if people are interested in your product. That is, it’s okay to collect addresses and names because interested people will exchange their address for a free sample if they are interested and uninterested people are deterred. Scientific Advertising was written in 1923 and was quite revolutionary. Other statisticians like Fisher created early statistical methods in agriculture and Hopkins began using it in advertising. It’s a subset of My Life in Advertising, i.e. you don’t have to read Scientific Advertising if you read the other book before. This book is actually two. 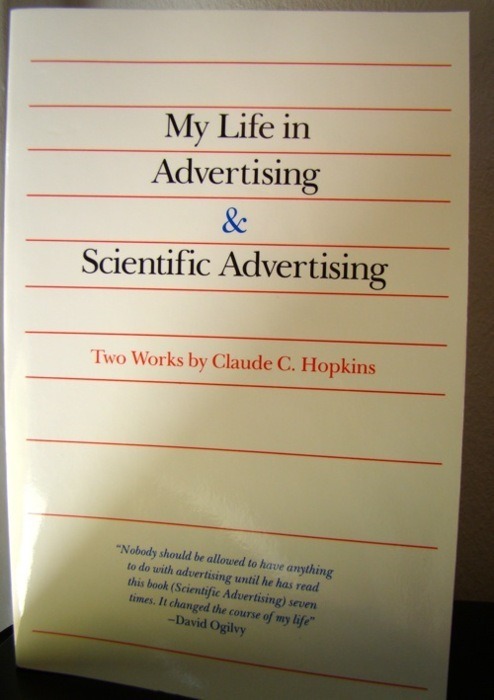 My Life in Advertising, the autobiography of Claude C. Hopkins and his famous publication Scientific Advertising. In this post I will review My Life in Advertising. Fun is subjective: Claude C. Hopkins was raised in a highly religious household. 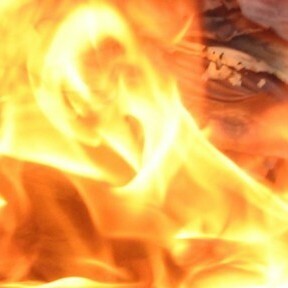 His mother forbid him seeing plays or playing cards, because she believed that these are diabolic activities. Therefore, he looked for other activities and began cleaning at his school and distributing fliers. He said: “The only game I’ve ever learned is business.”. It’s his occupation and recreation. Simple, natural ads with a coupon: His most successful ads followed this scheme. Firstly, he said that he was raised as a simple man, so he could only sell to other simple man, which were the majority. Secondly, the ads were natural, i.e. no lies, no marketing speech. Often he described how something was created and built a campaign on this obvious fact. For example, he created a campaign for Schlitz Beer in which he described how everything was cleaned twice a day and the bottles were washed four times. This was industry standard but nobody ever used it in an ad before. Thirdly, he inserted coupons for free samples because he wants to decrease the prospects risk and truly convince them that the product is excellent. His great mistake: There is a chapter called My Great Mistake where he talks about don’t starting a company on his own. Many of his former scholars, i.e. which learned from him how to create great advertising, started their own companies and succeeded. He said that he never had enough self-confidence. After many years working for other people and agencies, he finally decided to start his own businesses which were successful. However, he thinks that this isn’t an advice for the majority. Everyone should decide on his own where he fits and what he wants. I truly enjoyed My Life in Advertising. This is an other vintage classic from 1927 and most observations are still true today. It’s interesting how he worked his way up from a fruit picker. Then decided to get a degree in accounting. There he realized that accounting is just a overhead and costs will always be minimized. Therefore he started to switch to the money earners, i.e. into advertising. In the last chapter he wrote that he helps juvenile delinquents to love work as he do which is impressive for this time. All in all a great biography. Recommendation. There’s a instrument to decrease deaths rates and infection rates in hospitals significantly. It costs near to nothing. It’s a checklist. 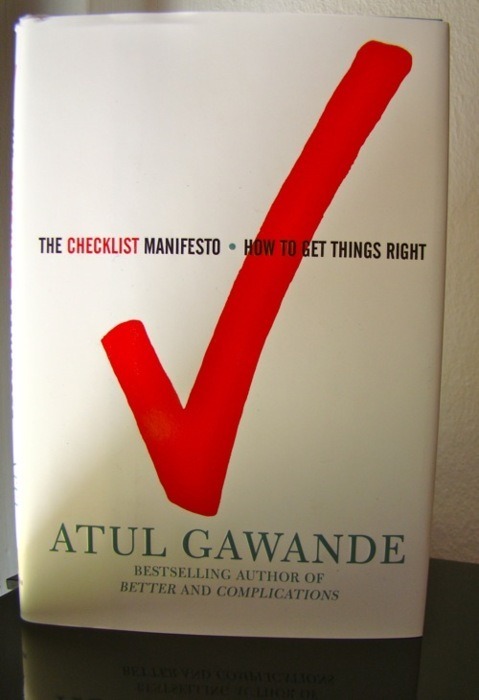 Atul Gawande, who is a cancer surgeon, talks about introducing checklists in the medical sector. Simple and critical: There’s a lot of research on checklists predominately for aircrafts. These researchers found in over 30 years research that checklists have to be simple and critical. They shouldn’t be detailed instructions. The aim of checklists is to remind the users of critical actions. Like closing the cargo hold on an aircraft or disinfect the working area on a human body before surgery. Test it: Nobody can think of everything, therefore testing is necessary. Observe your checklists in action and try to improve them. If you checklist is too long, only a few people will use it. If they don’t understand how your checklist will improve anything, they won’t use it. Observe and improve. Empowering people and discipline: Checklist aren’t about bureaucracy. They empower people and make them more disciplined. You help the practitioners to improve their work. The Checklist Manifesto is terrific. The stories are thrilling and he got great story telling skills. You can feel how checklists improved their lives and lives of others. Furthermore, it’s pretty short and concise. 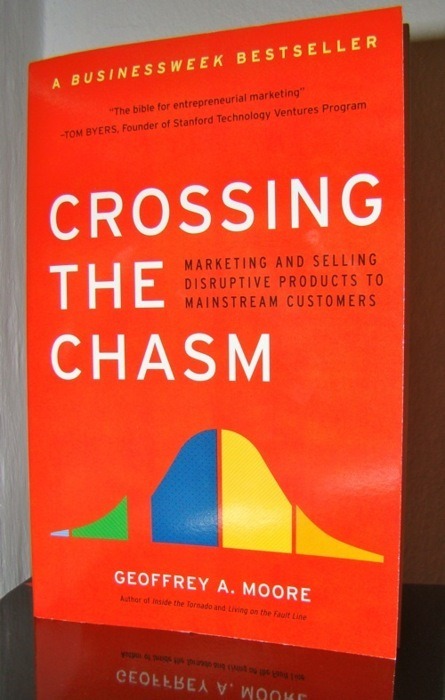 A similar book on checklists in business is The E-Myth. Recommendation!